Southern Shrimp and Cheesy Grits. Okay, you had us at Grits. But Cheesy Grits? Um…Shrimp and Cheesy Grits? Oh, good heavens. This Southern Shrimp and Cheesy Grits recipe is so astoundingly good, you have to try it to believe it. Watch us make this incredibly delicious Southern Shrimp and Cheesy Grits recipe! Get ready to have some fun and get hungry! 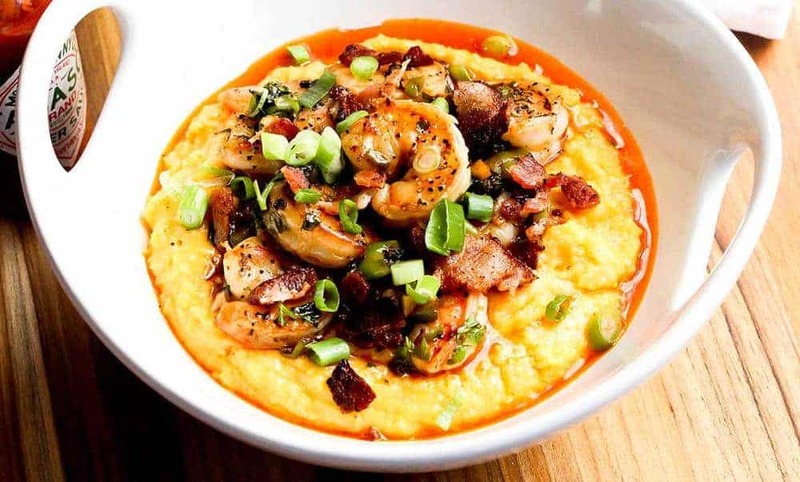 Shrimp & Grits is classic Southern U.S. cuisine. These grits are loaded with flavor…they are creamy, cheesy and buttery…and sinfully delicious. 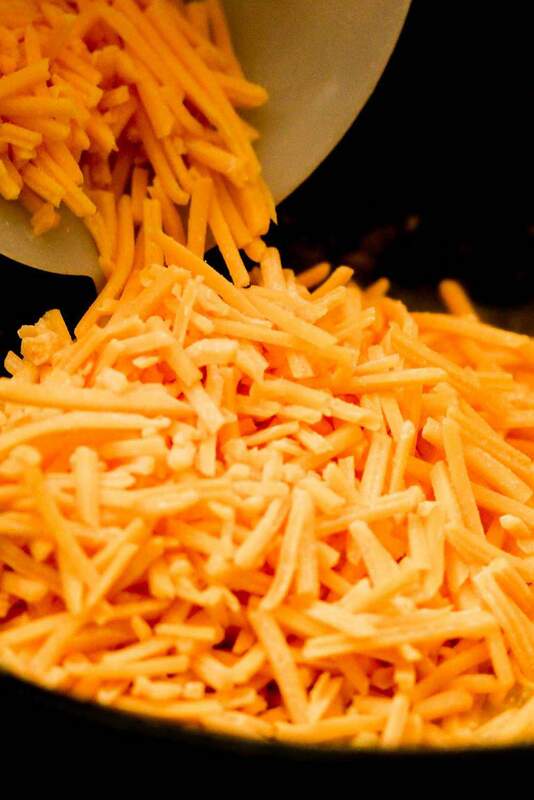 Oh, and did we mention cheese? And of course, we couldn’t just stop there! You know what this dish needs? BACON!! 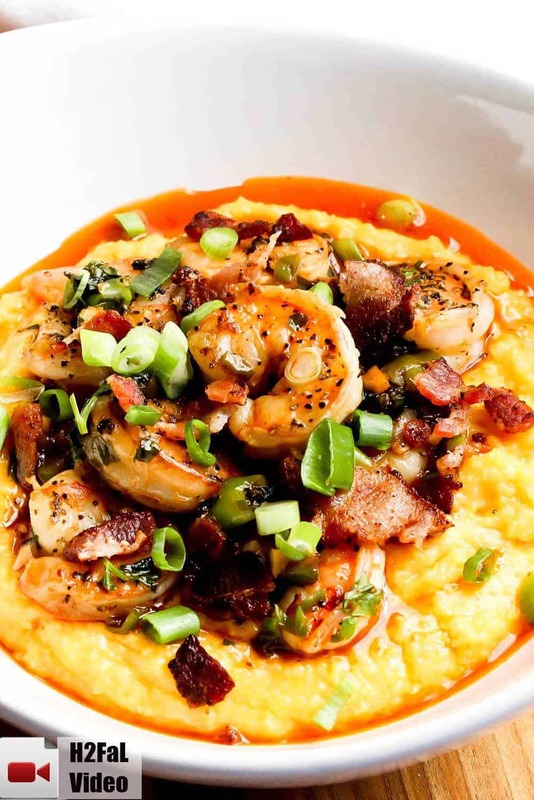 We are getting so close to shrimp and grits perfection! 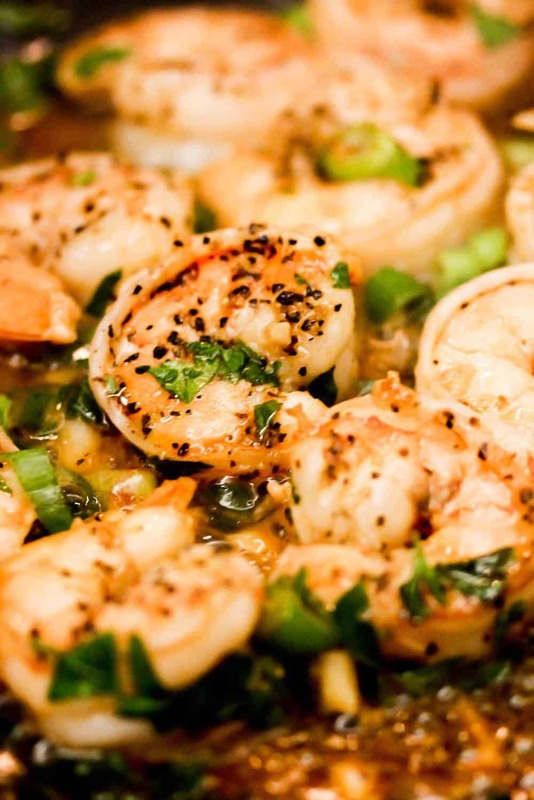 And then the Gulf shrimp is sautéed and is loaded with incredible flavor. The smell alone is worth writing home about! Topped off with sauteed gulf shrimp in garlic, scallions, parsley lemon juice, smoked paprika and a dash of hot sauce. Well, this is Southern decadence at its very best. This dish is not low on calories, so you won’t want to make this every day…but on a special occasion, it is one of the tastiest dishes you’ll ever experience. And now the time has come to go and make this amazing Southern Shrimp and Cheesy Grits recipe! You will NOT be disappointed, that we can guarantee! Shrimp & Cheesy Grits is decadent...pure Southern decadence. But every now and then, it's sinfully good to be a little decadent. This dish is a flavor explosion you just have to taste to believe. Incredible! In a medium saucepan, bring the stock to a boil. Add the cream, butter and cheese and gently stir. Cover and remove from heat. 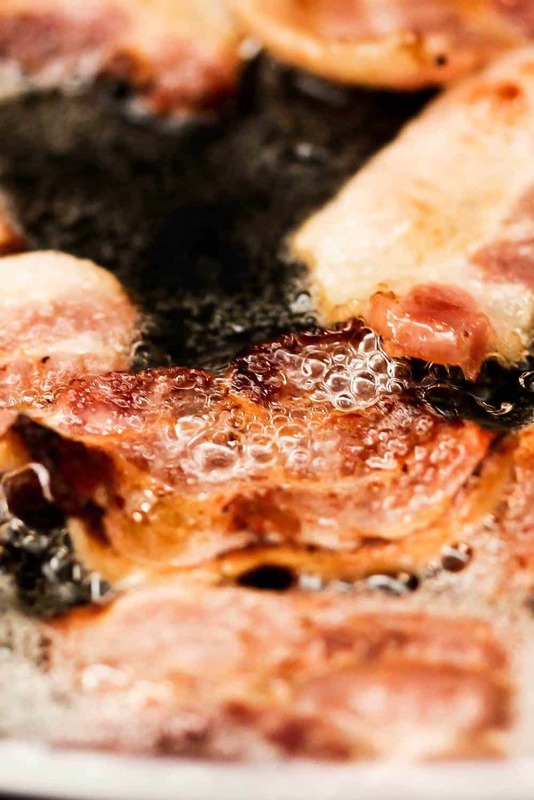 Meanwhile, in a large skillet, cook the bacon over medium-high heat until crispy. Transfer cooked bacon to paper towel-lined plate. Pour out all but about 4 tablespoons of bacon fat in the skillet and re-heat. Sprinkle black pepper all over the shrimp and then add to the hot skillet and cook until curled and pink, about 3 minutes. Stir in the garlic, parsley, scallions, paprika, Worcestershire, Tabasco and lemon juice. Meanwhile, crumble the bacon into slightly smaller pieces, set aside. 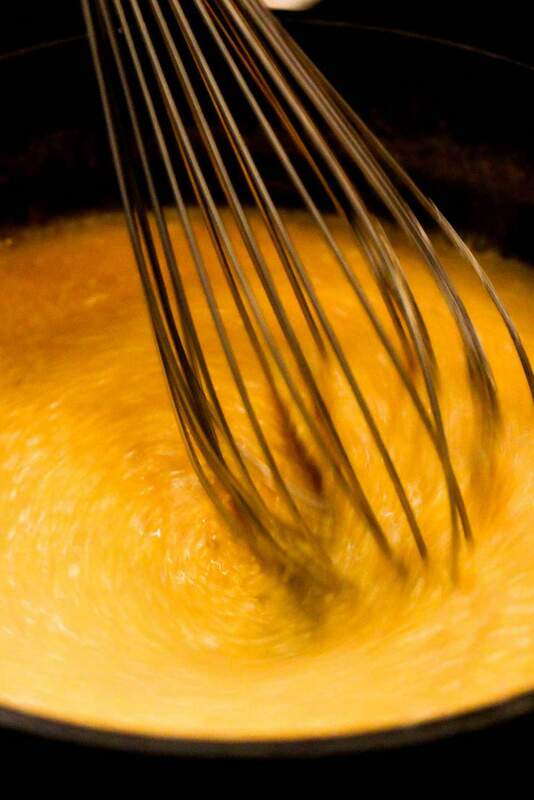 Spoon the warm, cheesy grits into 4 shallow serving bowls and top each with a quarter of the shrimp mixture. Garnish with bacon and reserved scallions. Serve at once! Previous articleSpring 2015 Video Teaser! Your recipe sounds fabulous! Before I make it I just have question. The grits call for 3 cups of stock to 1 cup of grits, usually 1 cup of grits calls for 4 cups of liquid. Why less liquid in this recipe does the cream and butter make up the difference? Looks great, I am looking for a recipe to try. I’ve only had shrimp and grits once when I visited the US. 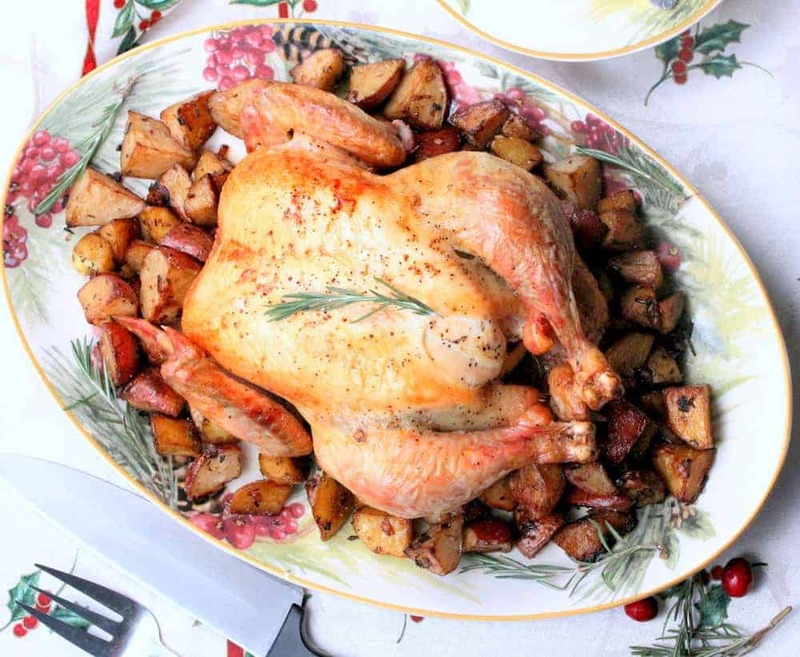 Question – can I substitute chicken broth with something else? I cannot eat anything with chicken. Thank you! I am making this tonight. The only shrimp our grocery store had was the precooked large shrimp. Will that work for this recipe? It turned out amazing! I’ve never cooked grits before and they were slightly underdone so will cook longer next time. My fault not recipe. My whole family loved it and will make it again! Wish I could post a picture of how good it looked! This shrimp and grits was the best I’ve ever made. And not complicated. Excellent. Thank you! Made this last night and my family loved it! My only question is how can I make more of a sauce? I want more of a sauce as I had it that way in a restaurant. I just found your site while looking for the best Shrimp and Grits Recipe. I can’t wait to make them. You have so many delicious recipes. So glad I found you. Please add me to your mailing list. I read the recipe for beans nd tomatoes and for these shrimps and grits. I’m convinced! I want to receive your emails. Thanks. I’m really excited to make this. Question – does it reheat well? It’s just me and my husband and sure we can’t eat it all in one sitting. Or maybe we can lol. I made this for New Year’s Eve dinner! Yummy. I added a little white wine to make a sauce . My family devoured it. Thanks for sharing! You can easily double the sauce recipe. It’s so good! For step 8, do you add all of that to the shrimp or to the grits? Wow, this was one of the best recipes I’ve tried in a while! I went to Nashville last year and had shrimp and grits in one of the more well known restaurants there and this easily rivals it. I signed up for your emails! Can’t wait to try another dish! So tasty!!! February of this year me and my husband took a trip to Savannah, Georgia. While there we had the most amazing shrimp and grits and I have been craving it ever since. Though this recipe isn’t exactly like what we had in Savannah, this recipe definitely satisfied my craving. It was so delicious and so easy to make! You need to correct Chessy to Cheesy as the Heading/title of recipe. P.S.S./ Where/when is the black pepper added? Guys…we attended our nieces wedding reception last weekend and they served a spectacular Shrimp and Grits as a heavy “O”. I was determined to recreate it or find it on line. After deconstructing the key ingredients, low and behold I came across your recipe on-line which appeared to be exactly the same. We served it to our regular wine group of 6 last night in stemless martini glasses and it was a-maz-ing!! Not a drop left…thanks for sharing your recipes. Thank you, Brad so, so very much!! I am sorry it has taken us a bit to get back to you! We are in the process of moving to Texas, and just now able to. 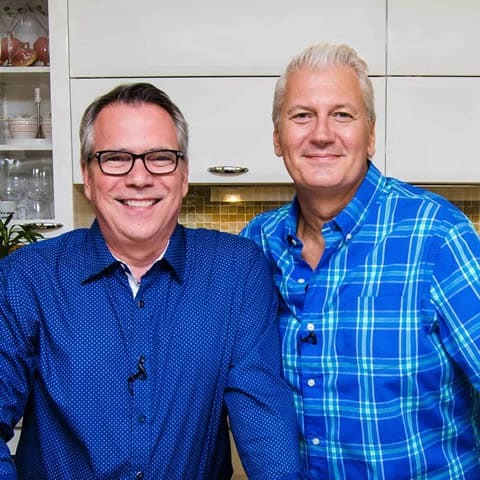 We are THRILLED to hear the dish was a success. Nothing makes us happier to hear that, and we so appreciate it you taking the time to let us know. And also, thanks for letting us know about the missing ‘pepper’ step in the ‘instructions.’ You sprinkle the pepper all over the shrimp before sautéing them, but whenever you added (if you added it), I’m sure was just fine. We updated the recipe and added the ‘pepper’ step. I think you mean “e.g. Tabasco”; e.g. means “for example”, i.e. means “in other words”. I like Cholula much better, Tabasco seems too vinegary to me. Great recipe! I made this tonight for supper and it was awesome!!!! Hi! This recipe looks divine! I’m going to use it for thanksgiving as an hors d’oeuvres! Can you please tell me if the heat is still on when you are stirring in step number 8? Or do I turn the heat off, then add step number 8? Thanks!! I’m not a huge fan of shrimp and grits, but this recipe made me fall in love with it! The flavor was perfect just the right amount of heat and also loved the easy to follow grits recipe. Thank you for this awesome dish. Just looking at this made me have a heart attack, and it was beautiful. I know! It’s not for the faint of heart. But good Lord, is it delicious!! Thank you, Josh! !